this vegan Warm Caramelized Onion Bacon Dip has been our go to appetizer for years! everyone loves it and it will quickly become your favorite, too. Just in time for holiday parties, game day, and this coming Tuesday, I am bringing you my favorite dip! I wish I was actually bringing it to you, that is how much I know you’ll love this dip. This has been a go to appetizer for years, based on a cheese and mayonnaise based classic from way back in the day. This one is packed with veggies and cashews and my signature ingredient for bringing that cheesy tangy goodness. Then it is topped with onions. Did you know that those old school salad topper Bacon Bits are vegan?! I found that out quite a while ago now, but I remember just being amazed. This was years before homemade vegan bacon methods came about. I use those old school bacon bits in this dip. They are crunchy. They are salty bacony GOOD. If for whatever reason you’d rather not, I get it. Use tempeh bacon bits. Even Shiitake Bacon, because that’s good too. I do not recommend that rice paper bacon for this dip, though – it gets weird. Yep. I’ve tried it. Trust my experience on this one. To achieve the glorious deliciousness that is a caramelized onion, you mostly need patience. That’s about it. Get yourself a skillet, one large yellow onion, butter, salt, and patience. Try to find a large skillet so the onions have space to sizzle in a single layer. Slice the onion in half, then in half moon slices. I use tongs to pick up and flip the onions as they cook, so they caramelize evenly. …and then just watch the onions cook. and wait. I am often doing other prep work or cooking while caramelizing onions. Something else that doesn’t require constant work – like chopping or mixing. Something that I can stop while I take a minute to stir the onions as they cook. As an example – you can prep the ingredients for this dip while the onions caramelize! I cannot wait for you to make this dip. See the recipe below for full details about how to caramelize onions. once you make this, you’ll get it. this Warm Caramelized Onion Bacon Dip has been our go to appetizer for years! everyone loves it and it will quickly become your favorite, too. Place chopped cauliflower in large stock pot with the vegetable bouillon. Add enough water to completely cover cauliflower and then some – an inch or two over. Bring to boil, reduce to simmer. Continue at a simmer for 6-8 minutes, or until cauliflower is tender. Drain immediately and set aside to cool. 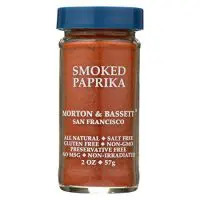 In a blender, combine sauerkraut brine, sauerkraut, cashews, garlic, nutritional yeast, smoked paprika, and sea salt. Blend at highest speed until completely smooth. Transfer dip to saucepan over medium heat. Stir occasionally as dip warms through - a few minutes. Add most of the caramelized onions (3/4 cup or so) and bacon bits. Transfer to serving bowl. Garnish with more caramelized onion, bacon bits. Serve warm with fresh veggies, bread, crackers. Store leftovers in refrigerator in covered container. Best used within 3-4 days. To achieve the glorious deliciousness that is a caramelized onion, you mostly need patience. That's about it. Get yourself a skillet, one large yellow onion, butter, salt, and patience. Peel onions. Slice each onion in half from the top, then slice each half onion into half rounds. In large skillet over medium heat, melt butter. Add sliced onions to melted butter, keeping heat at medium to medium low. Sprinkle with sea salt. Stir to coat the onions with melted butter. Arrange onion slices in an even layer, covering the entire surface of the skillet. Stir occasionally as the onions cook, 15 to 20 minutes. Add water by the tablespoon as needed. Continue to stir occasionally and cook over medium to medium low heat, until onions reach a deep caramel color. This process generally takes 25 to 30 minutes - you can caramelize onions as you are prepping another dish (like the ingredients for this dip). Use this recipe for this Warm Caramelized Onion Bacon Dip, or cool completely and store covered in refrigerator. Add to sandwiches and all sorts of recipes, use within 3 days. Oh man this sounds so good. I could so see this going down as a hit with my family. Wow. Wow wow wow. This looks amazing! This looks like the most delicious of holiday appetizers! I love a warm dip! you had me at bacon! and caramelized onions are a huge hit with my family. I’m so looking forward to trying this warm appie this winter. Thanks for your creativeness! Wait: old school bacon bits are vegan? Say what?! I had no idea! This looks so rich and creamy, without all the usual junk that is found in onion dip. I’m always looking for more dairy-free dip options, and can’t wait to try this one! WHAT how is this even vegan?! I’m not vegan nowadays but love vegan recipes particularly for recipes like this that are usually filled with such crap. Great recipe!